PT Sarana Multi Infrastruktur (Persero) - PT SMI (Persero) or commonly abbreviated as "SMI" is a reputable state-owned infrastructure financing company in Indonesia which was formed in 2009. PT SMI (Persero) has its business activities focused in 3 main sectors: Financing & Investment, Advisory, and Project Development. 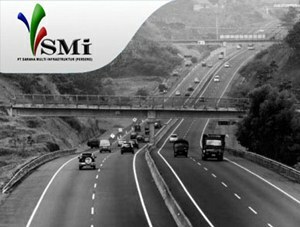 PT SMI (Persero) is recognized as a catalyst in facilitating Indonesia’s infrastructure development. PT SMI (Persero) is a non listed state-owned company and is fully owned by the Government of Indonesia, represented by the Ministry of Finance. PT SMI (Persero) has its legal domicile in Jakarta and its head office is located at Sahid Sudirman Center, 48th Floor - Jl Jenderal Sudirman No 86 Jakarta 10220. The Company now supported by 2 affilated companies, namely PT Indonesia Infrastructure Finance (30 percent) and PT Jasa Marga Pandaan Malang (5 percent). According to PT Sarana Multi Infrastruktur (Persero) Annual Report 2016 as cited by JobsCDC.com, the Company’s business results in 2016 showed improved performance compared to 2015. PT SMI (Persero) reported total revenue of Rp 2,329 billion in 2016, a 213.03 percent increase from the same period of last year (Rp 744 billion in 2015). Referring to its annual report, total net profit of PT SMI (Persero) grew by 297.70 percentfrom the previous year, from Rp 305 billion to Rp 1,213 billion in 2016. Minimum background in Bachelor or Master Degree (S1/S2) from a reputable university, majoring in Economics, Finance, Accounting, Banking, Business Studies, Administration, Management or equivalent. Holds 1-2 years of experience, specializing in Finance - Corporate Finance/Investment/Merchant Banking is preferred. Fresh graduates are welcome to apply. Minimum background in Bachelor Degree (S1) in any major is a must. Minimum 2 years of experience in similar position. Strong knowledge of administrative and clerical procedures. Strong knowledge of customer service principles and practices. Trustworthy, self motivated, hardworking, fast learner, proactive, attention to detail and self initiated. Fluent in English is a must (written and spoken). Minimum background in Bachelor or Master Degree (S1/S2) from a reputable university, majoring in Mathematics, Statistics, Economics, Engineering or any other relevant quantitative discipline. Holds minimum 3 years of experience the related field. Strong knowledge of credit risk management and credit risk process. Strong knowledge and good understanding about credit risk analytic tools and models (PD, LGD and EAD models, etc). Fluent in English and Bahasa Indonesia (spoken and written). A Degree in Finance, Business, Accounting or related field of study. Holds minimum 3-5 years of experience financial industry, with strong exposure on risk management, audit, or credit related function. Have high levels of personal resilience and positive energy. Have a good understanding of risk management techniques and practivec and have experience of applying these in a pragmatic, commercially aware manner. Strong knowledge of operational risk assessment techniques and competent in facilitating risk workshops. Good problem solving skill, strong sense of analytical thinking and able to drive change with a constructive and positive attitude. Possess CFA, FRM is preferred. JobsCDC.com now available on android device. Download now on Google Play here. Please be aware of recruitment fraud. The entire stage of this selection process is free of charge. PT Sarana Multi Infrastruktur (Persero) - Fresh Graduate, Experienced Staff, Mgr SMI September 2017 will never ask for fees or upfront payments for any purposes during the recruitment process such as transportation and accommodation.